Vienna, star of the fading glory of the "fin de siècle era", emerges amongst all European cities with it's magnificent Hasburg-era architecure and parks. 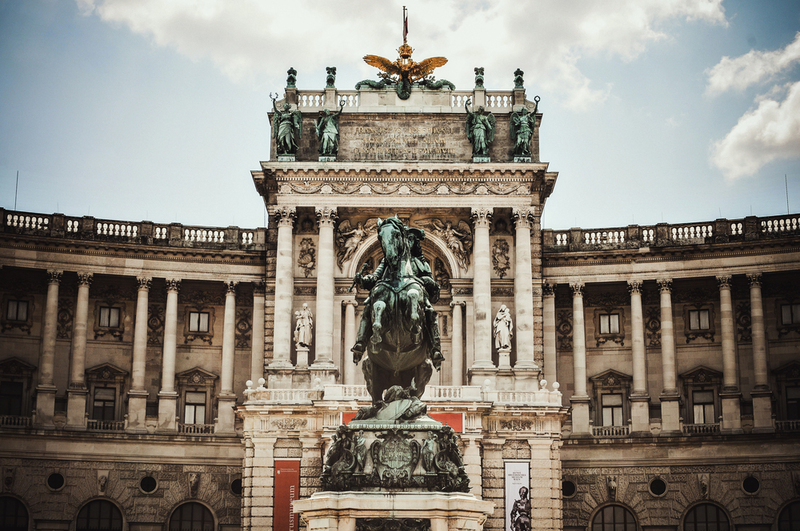 In the present day, Vienna is still evolving with dazzling renovated museums, hotels and a whole new re-invented nightlife. Built in the seventeenth century, and subsequently used as the summer residence for the imperial will of Maria Theresa Archduchess of Austria, until the fall of the monarchy in 1918. The palace counts 1441 rooms, 190 of which are open to the public as a museum. It is surrounded by one of the most beautiful baroque-style parks in Europe, with statues, fountains and an enormous gardens, among them a set of fake Roman ruins, a zoo and a maze. Since 1996 the palace and the garden have been declared World Heritage by UNESCO. Enjoy traditional classic Viennese specialities in this elegant and stylish restaurant where you can either sit in the black and white floor-tiled glass conservatory facing the Opera House or in the grand, dark red damask dining room with large oil paintings and crystal chandeliers. Have a relaxing drink before bedtime at this bar. “Motto am Fluss” lies right on the Danube Canal at Schwedenplatz like a racy speedboat. Host Bernd Schlacher has created an extensive gastronomic landscape here on two levels that at first sight, might be confused as a boat. 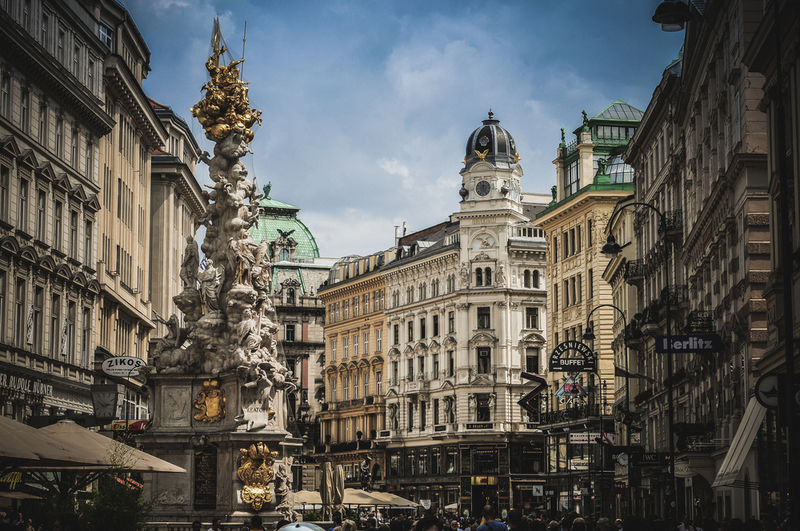 Declared Unesco's historical and cultural heritage of humanity, the historic centre of Vienna is characterized by cobbled streets, narrow alleys, quiet squares, historic buildings and by the best restaurants, cafes and luxury shops in the city. While there, do not miss the St. Stephen's Cathedral and Mozart's House. If you have time, have a ride on a horse chariot for a relaxing and romantic timeout. Café Sacher Vienna offers the perfect chance to sample a typical Viennese coffee-house atmosphere and – of course – to treat yourself to a slice of the legendary Original Sacher-Torte. The Café Sacher, directly opposite the Opera House, is a popular meeting place in the centre of Vienna. The Vienna State Opera is a fascinating building with a history dating back to the mid-19th century. It is located in the centre of Vienna, Austria. It was originally called the Vienna Court Opera. If you can, book a ticket for a once in a lifetime experience. At the restaurant "Le Ciel" the name makes the programme. Enjoy the heavenly view from the seventh floor of the Grand Hotel Wien and indulge in heavenly culinary art at the same time! The restaurant "Le Ciel" meets the expectations of the most discerning gourmets: creative cuisine with unusual combinations of taste, an excellent, out of the ordinary wine list and professional, friendly service. 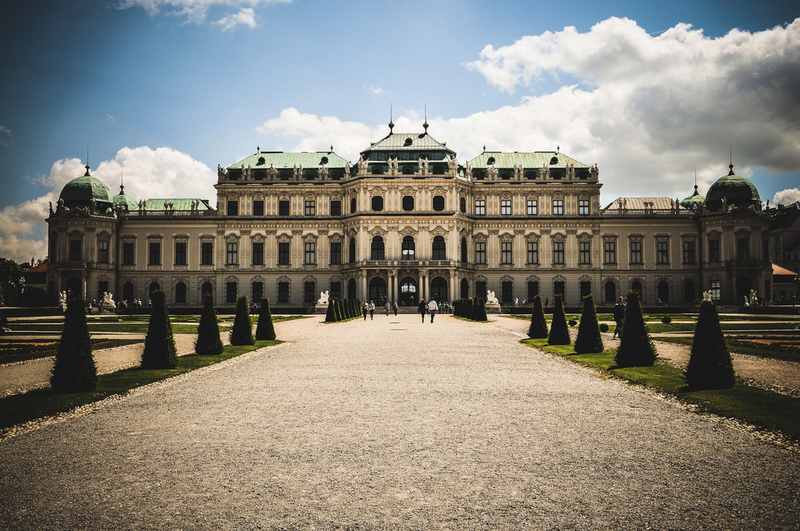 The building is an astounding mix of murals, marble and royal excess, but even more mouth-watering is the Scholls Belvedere, two facing baroque palaces surrounded by mesmerizing gardens. Inside of them, the collections are superb homing the biggest Klimt collection in the world, in which, of course, you can find international favourite painting: The Kiss.